OVERNIGHT EVENT: THE FINAL NAIL IN THE DOLLAR COFFIN! The Currency Crisis analysts are ALL looking at the national debt, but $21T doesn’t make foreign governments change their mind about Treasury Bonds. In fact, there’s a line outside the door to buy U.S. debt. No, the mightiest threat to the reserve currency isn’t an outside threat, either. China’s currency isn’t a viable global denomination – no one TRUSTS China. The most immediate danger is internal strife, division among the leadership in Washington and the individual states. CaliXit, similar to Brexit, could be a “Black Swan” moment. 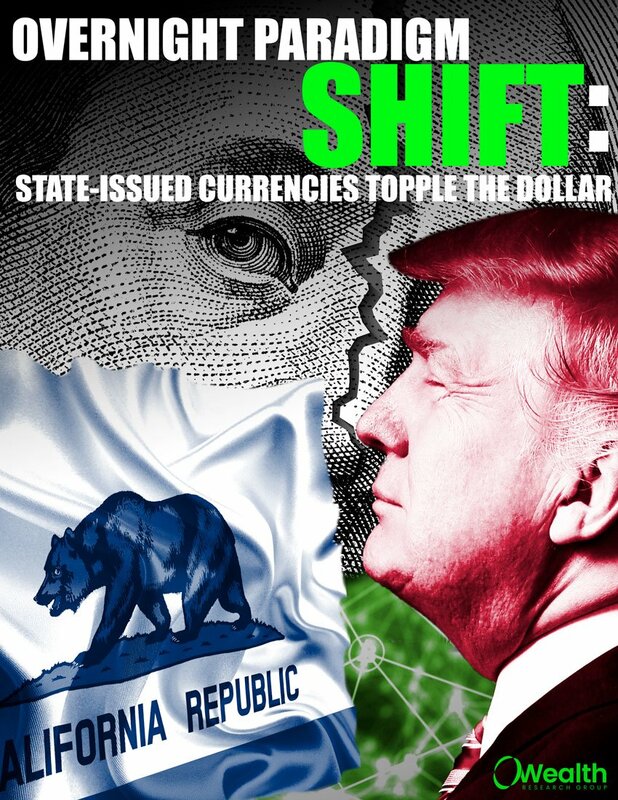 Download Overnight Paradigm Shift: State-Issued Currencies Topple the Dollar NOW!